Presentation by the President of the Southeast Brainspotting Institute. Learn to work with the brain and the body in therapy to create rapid, effective change. We have an upcoming fundraising event at Panera Bread located at the Town Center! Help us fund the 2019 NSU Jax Medical Mission Trip to the Dominican Republic by dining in at Panera or ordering take out. Bring the flyer or show an electronic version to the cashier when you place your order and they will donate a portion of the proceeds from your purchase! Note: Ordering Online for Rapid Pick-Up or Delivery? * Enter “PRFUND” “PRFUND” as your Promo Code to have a portion of your proceeds donated to your organization. 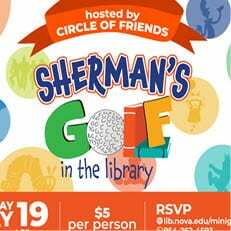 We hope to see you there! Thank you in advance for all of your support! 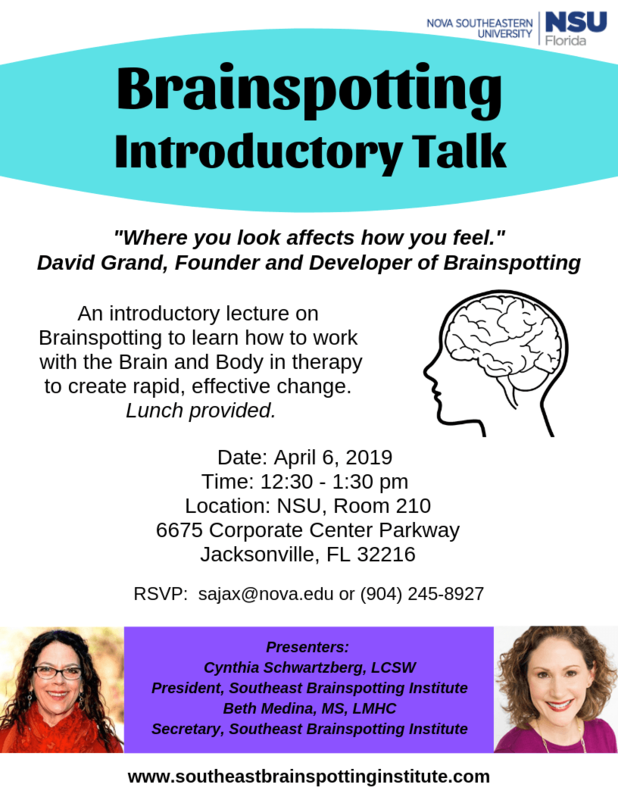 FREE Workshop! Lunch will be provided. Dr. Scott Poland will be providing suicide and violence prevention training. He is a top professional in his field, and has been called to assist all over the United States, including Columbine and Parkland. 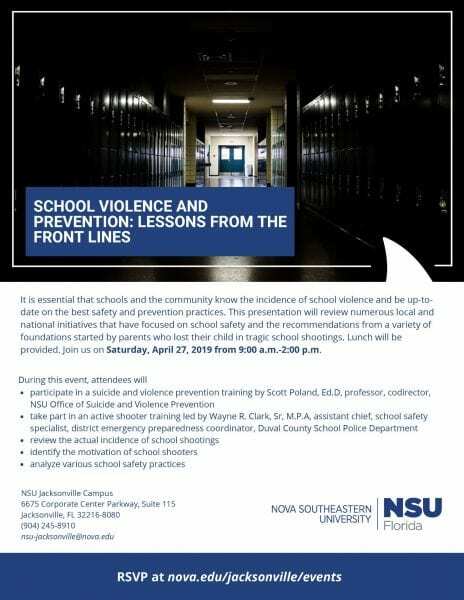 Assistant Chief, School Safety Specialist and District Emergency Preparedness Coordinator of Duval County School Police Department, Wayne R. Clark will be leading active shooter training. Seating is limited. To RSVP, please visit nova.edu/Jacksonville/events or sajax@nova.edu. 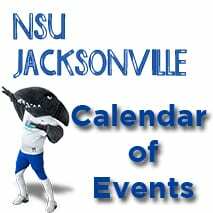 Have you graduated/will be graduating from NSU between Fall 2018 and Summer 2019? The Division of Student Affairs would like to invite all Jacksonville Area Graduates to Class Celebration: a recognition ceremony honoring those students (undergraduate and graduate) who have completed or will complete their coursework through August 2019. 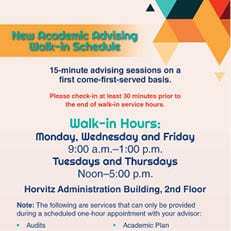 Includes all online, onsite, and blended students!! **This is NOT an official graduation ceremony or commencement. All official graduation requirements/conferrals, etc. are determined via your Academic Department.